It is that time again! Disney On Ice is going to be in Nashville October 3-7th! Ariel, Belle, Cinderella, Rapunzel, Tiana, Jasmine, Aurora and Snow White all appear to celebrate the tales of romance and heroism through artistic skating and acrobatics. This is fun that the whole family can enjoy! With the help of the magical pixie Tinker Bell, the Disney Princesses embark on the adventure of a lifetime. Jasmine discovers a whole new world with Aladdin after meeting her unlikely heroin the marketplace. Prince Philip defeats the evil fire-breathing dragon Maleficent in a race to save his true love Aurora. Prince Eric breaks Ursula’s spell so that Ariel can remain part of his world. 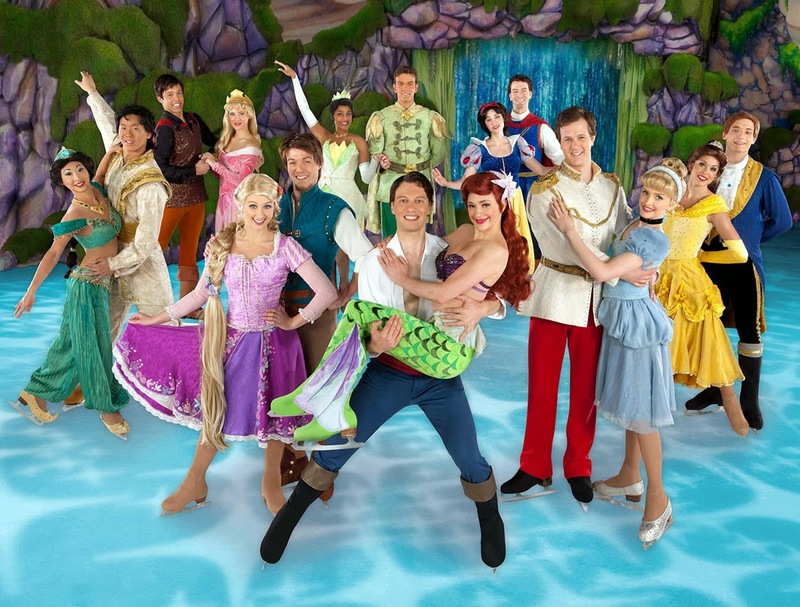 Rapunzel, Tiana, Cinderella, Belle and Snow White also find happiness in this beautifully imagined ice show. You are probably wondering what it is going to cost to get you in and what times you can go. Thursday, Oct. 3: 7 p.m.
Friday, Oct. 4: 10:30 a.m., 7 p.m.
Saturday, Oct. 5: 10:30 a.m., 2:30 p.m., 6:30 p.m. 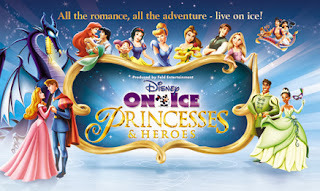 Produced by Feld Entertainment, Disney On Ice presents Princesses & Heroes is performing a total of eight shows. Tickets go on sale on Friday, August 16, and can be purchased throughTicketmaster, at Kroger or by calling (800) 745-3000. To learn more about Disney On Ice, visit www.disneyonice.com, or visit us on Facebook and YouTube. Feld Entertainment is the worldwide leader in producing and presenting live touring family entertainment experiences that lift the human spirit and create indelible memories, with 30million people in attendance at its shows each year. Feld Entertainment's productions have appeared in more than 70 countries on six continents and include Ringling Bros. and Barnum &®Bailey, Feld Motor Sports, Disney On Ice and Disney Live!. WIN IT: TWO WINNERS are going to win a Family 4 pack of tickets. ( vouchers that will be able to be redeemed for tickets for the showtime you want) This giveaway will end Tuesday October 1, 2013 so I can get the tickets to you in time! I would love to go because we went last year and my little girl LOVED it! I would love to take my daughters to see this show before they are too old to want to go! We saw the Disney on Ice Toy Story a few years ago and the kids loved it and I know they would like this one. My husband and I are HUGE Disney Fans! We have almost all the Disney movies on VHS, DVD and Blu-ray. We also have a 10 year old little boy that would love to go see this! He has been asking for the past couple of years to go but the tickets are out of our price range. This would be an awesome surprise for him! I want my cousins to go to get excited for their next trip to Disney world!